The Niagara Ice Wine Festival is one of our favourite yearly Niagara-on-the Lake events. 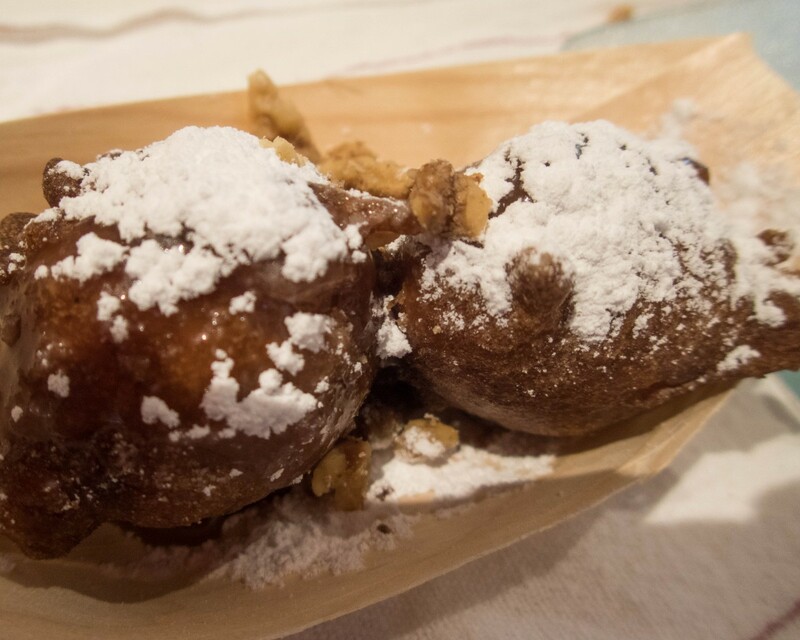 Taking place at the end of January, this popular festival is one of the best ways to experience some of Canada’s best food. As well as the country’s most famous alcoholic treat in a truly unique setting. This fun and family-friendly festival in Niagara-on-the-Lake is one of the best places to experience Icewine in Canada. The Niagara wine region, along with Prince Edward County and Lake Erie North near Point Pelee are Ontario’s established wine regions. Of the three, Niagara is one of the most established and diverse. And as far as wine festivals, Niagara offers the biggest and best. It’s proximity to classic attractions like Niagara Falls makes it one of the most popular destinations in Canada. Ice Wine is a Canadian delicacy. It’s a concentrated form of wine made from grapes that freeze on the vine. It is very sweet. And Ice Wine is generally consumed as a dessert drink. The grapes grown during the warm summers. But grapes for ice wine can’t be picked until they are int he midst of at least three straight days of at least -10°C temperatures. Frozen grapes that are picked outside of these rigid requirements are labeled as “Late Harvest Wines”. Because of these regulations, Ontario has the perfect climate for creating this delicious and decadent beverage. 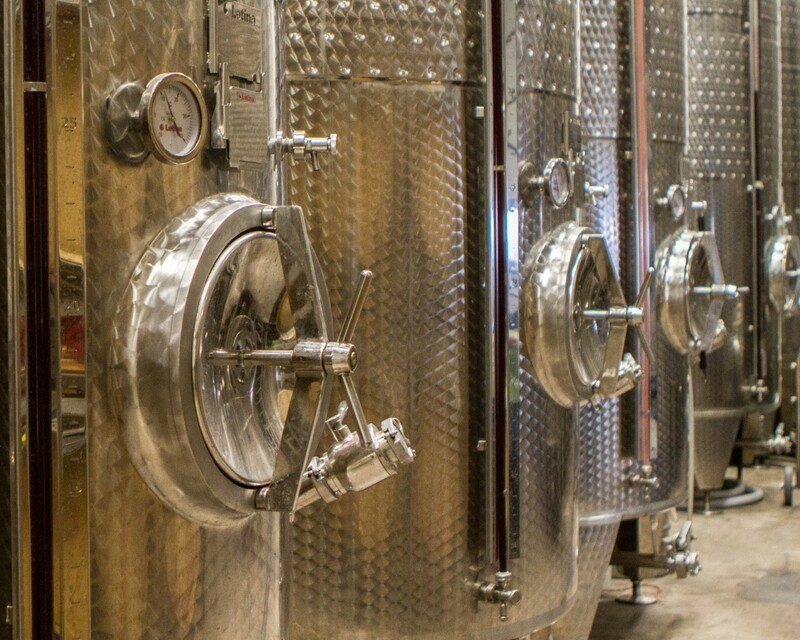 So, it is not surprising that Ontario is home to 4 major regions for icewine making. Ontario’s top wine regions are Lake Erie’s north shore and Pelee Island, the Niagara Escarpment and Twenty Bench, Prince Edward County and of course, Niagara-on-the-Lake. The Icewine Festival is a perfect compliment to the Niagara Falls Light Fest that takes place each year. 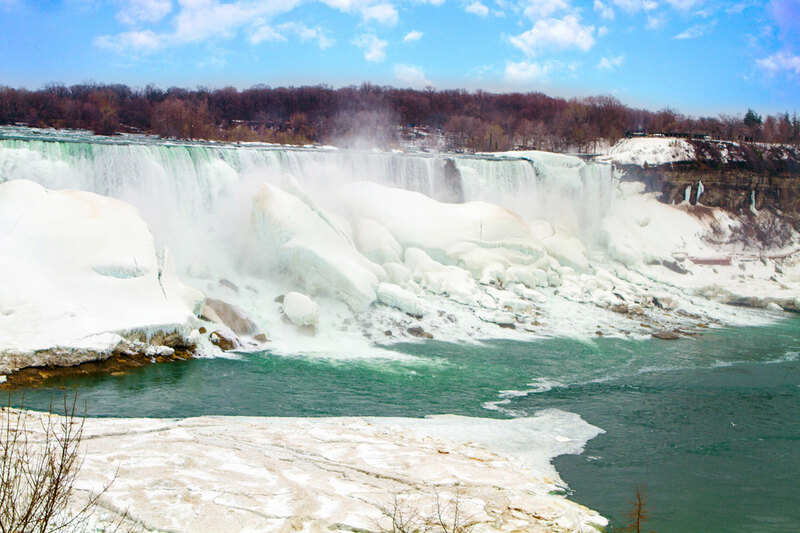 You can read more about all of the amazing things to do in Niagara during winter here. Niagara-on-the-Lake is a quick 1-1.5 hour drive from the Greater Toronto Area. It’s located very close to the New York State border, making it a popular destination for Americans looking to stretch the strong US dollar. 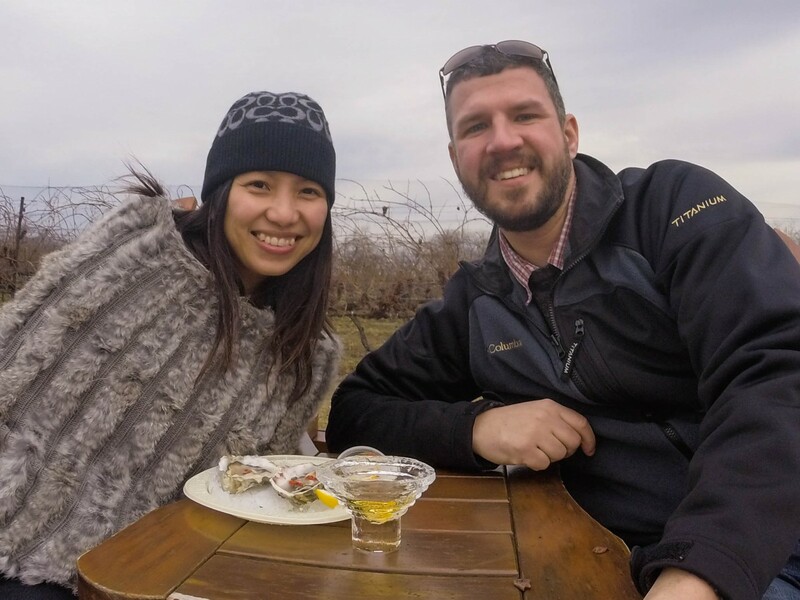 Although we regularly tour the Niagara wineries during the summer, a chance to taste the best ice wine Niagara has to offer is always a treat. It is also a great excuse to experience some of the beautiful Niagara-on-the-Lake attractions. The Shaw Theatre is always a treat. And the views from on the shores of Lake Ontario are always beautiful. Being that Niagara-on-the-Lake is only 20 minutes from the famous Niagara Falls, Ontario. Tasting Amazing Food and The Best Ice Wine Canada Has To Offer! The Ice Wine Festival in Niagara is a celebration of ice wine and gourmet food. 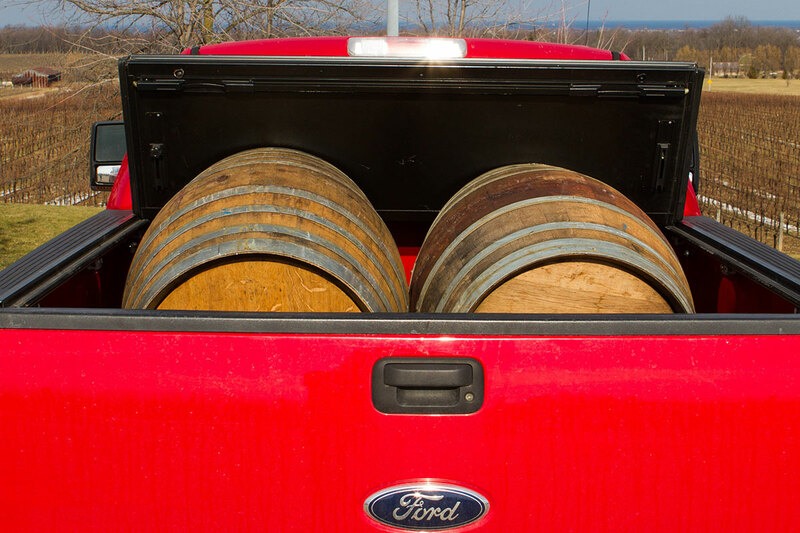 And it’s spread across the many Niagara region wineries. During our last visit, the weather cooperated beautifully with temperatures hovering around 5°C. The sun was shining brightly. The Niagara Icewine Festival 2017 will have 38 wineries participating with 11 in the Niagara-on-the-Lake region. 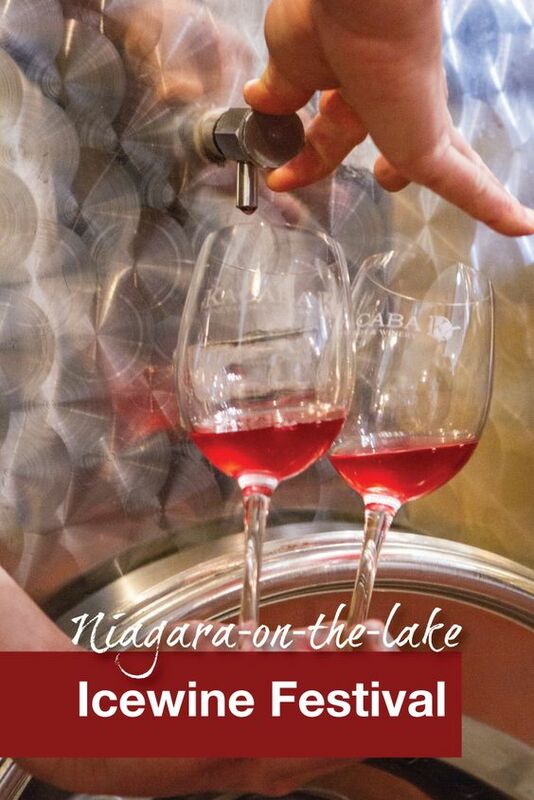 The festival is best experienced on Niagara wine tours so that you don’t need to drive between wineries. You can also purchase Discovery Passes. These ticket bundles are sold for $45 plus HST each and contain eight experience vouchers valued at $10 each, redeemable at participating wineries. There is also a “Drivers” Discovery pass for $35 that includes non-alcoholic drinks but still includes the food. You can find tickets for the Niagara Icewine Festival here. Tip: The Discovery Pass can be purchased at any of the participating wineries or area tourist centres. For $45 a pass we received 8 tickets and each ticket could be used for a single icewine and food pairing at the participating wineries (Cheaper passes were available for drivers which could be purchased to sample only the food at the wineries), otherwise, each wine/meal pairing could be purchased for $10 at the winery. Catered by Twisted Chef, Patrick Wiese, the maple, cowberry, winter-herb roasted pork belly topped with parsnip puree and wine caviar was full of flavour! Paired with the 2013 Late Harvest Gewürztraminer, it was a delicious start to our day. On our way out I noticed they were selling icewine infused marshmallows. 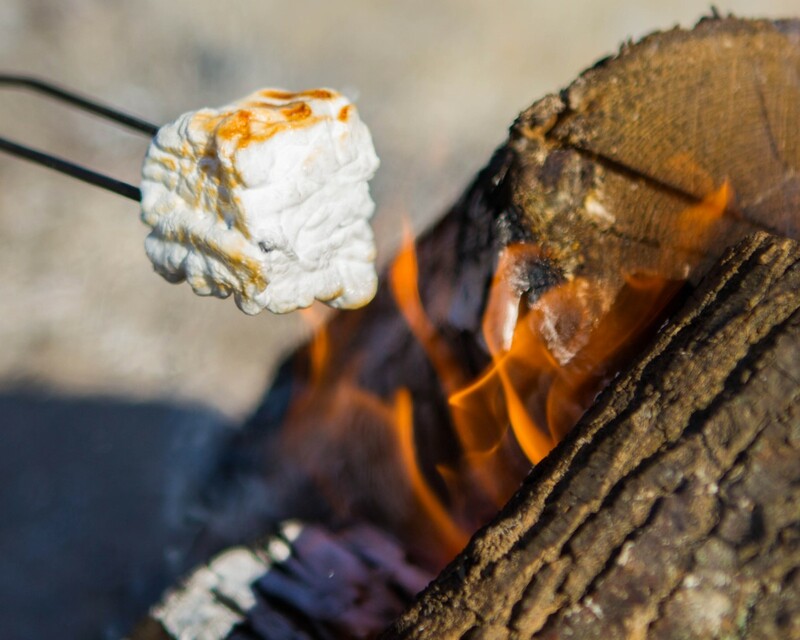 A small campfire was set up near the front of the building overlooking the winery. Not needing any encouragement, I handed over $4, grabbed a roasting stick, and told Kevin we would not be leaving quite yet! Relaxing next to a small fire in the brisk winter air overlooking the vineyards and Lake Ontario made for a wonderful twist to the morning. Oh, and the marshmallows were to die for! 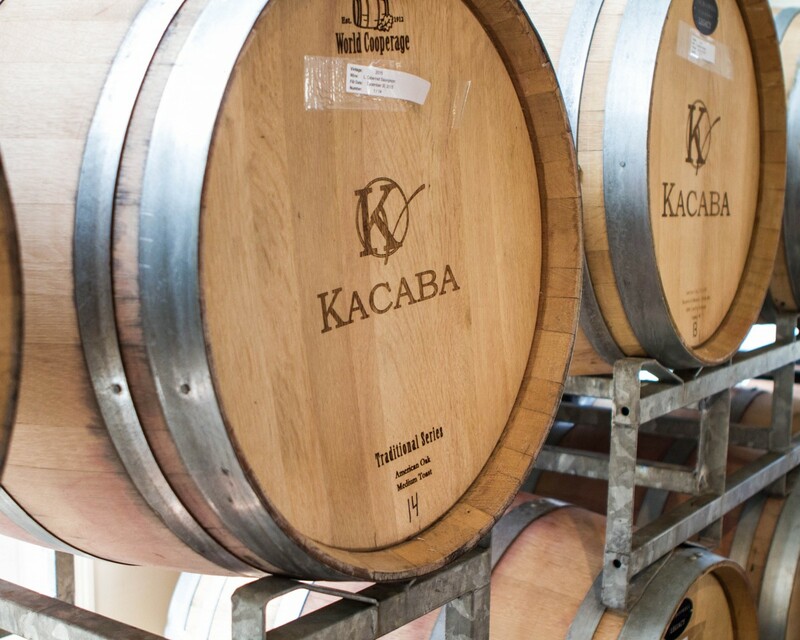 Kacaba was the second winery on our Niagara Icewine Festival tour. But this unique Niagara winery was far and away our favourites! The staff seemed to truly be enjoying themselves and after tasting their wines and meeting the staff, we can’t wait to go back to try out more. Foie gras and duck rillette topped with lively berry coulis was served on rustic barley risotto and was prepared on the spot by the amazing and friendly folks at Zooma caterers. Paired with Kacaba’s Cabernet Franc Icewine it was a foodgasm experience indeed! 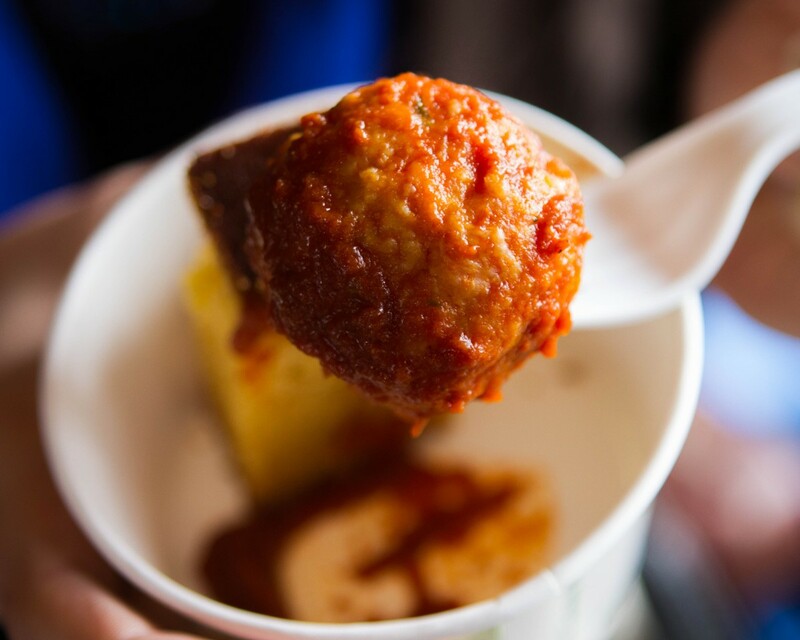 Ravine Vineyard had set up a covered patio next to their restaurant where they served up a scrumptious homemade spicy chicken meatball in a molé sauce paired with their own delicious cornbread. The meatball was moist and tasty and not spicy at all. The molé sauce blended well with Ravine’s 2013 Vidal Icewine. They had us at “chocolate-dipped strawberry filled with Pondview’s Select Late Harvest Vidal!” The peach notes of the Vidal Icewine were perfectly complemented by the blue cheese bread pudding which made for a divine addition. The friendly staff and dining area with it’s rowed standing tables set amidst their aging barrels made for one of the most attractive dining sections on our tour. The pork belly taco was the perfect blend of soft and crunchy. 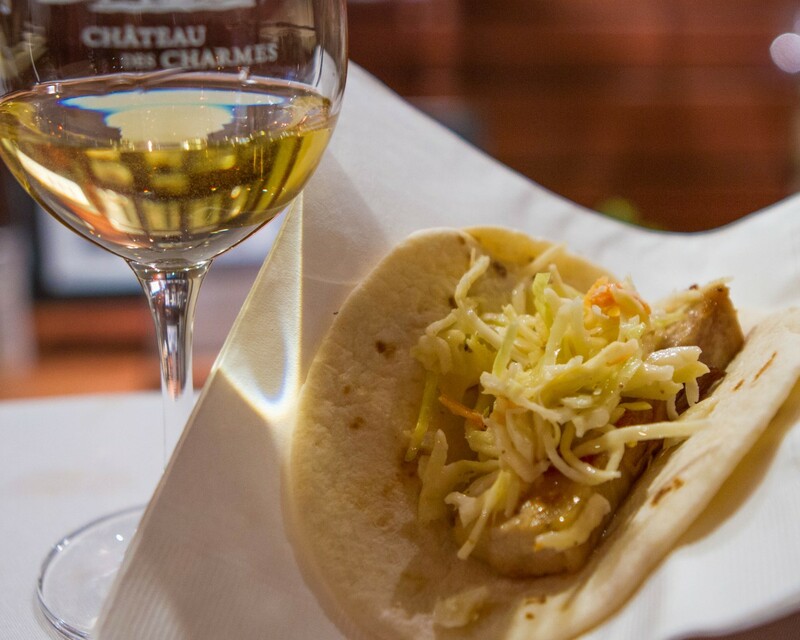 Created by Queen’s Landing Executive Chef Marc Lyons the taco worked well with the Chateau des Charmes’ 2014 Vidal Icewine. The Chateau was very busy though and we felt rushed and claustrophobic which took away from the overall ambiance of the whole experience. Though the festival guide indicated that Inniskillin would be serving up “chicken and waffles” we were instead greeted by an outdoor oyster bar. This wasn’t disappointing at all! The bar had a choice of two types of Oyster. Malpeque oysters from eastern Canada’s Prince Edward Island or Fanny Bay oysters from western Canada’s Vancouver Island. We chose the Fanny Bay oysters as we had previously made a trip east to Malpeque just to taste their oysters and we wanted to try something new. 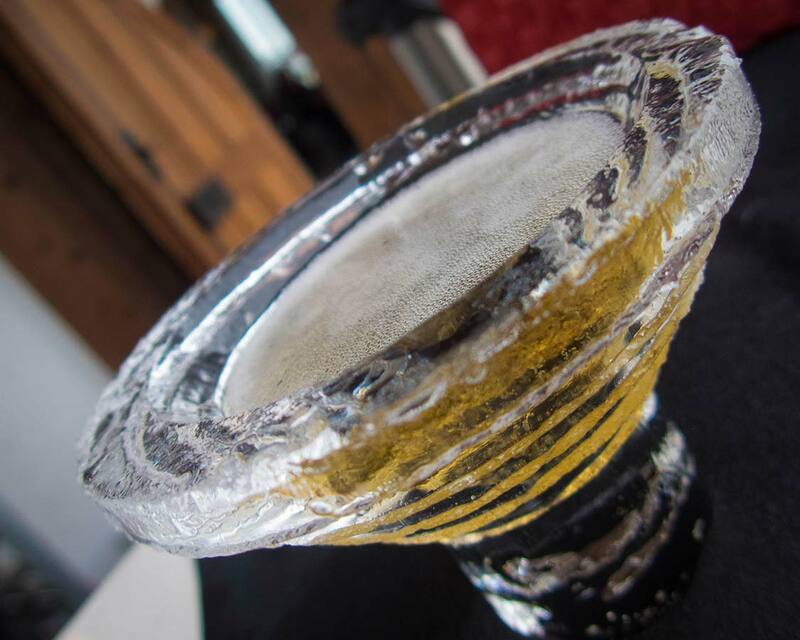 The oysters were paired with Inniskillin’s Riesling Icewine which was beautifully served in a glass made of ice! The setup for the festival was incredibly well thought out and executed. Muskoka chairs were set up around fire pits allowing people to warm up in the cool air. We settled into a set of chairs near the vineyard which was lined with frozen grapes that were waiting to be picked. The Fanny Bay oysters were much larger than the Malpeque oysters and were quite tasty; but, if we had to choose all over again, we would go with the more flavourful Malpeque oysters! We were already out of tickets and I was a bit hesitant to pay $10 for 3 pieces of fruit. But as soon as I saw the chocolate fountain I knew that there was no point resisting the temptation. We were not disappointed. The fruit and cinnamon-cranberry biscotti covered in Belgian chocolate were divine when paired with Riverview’s award-winning Cabernet Franc Icewine. This was our last stop for the day. Even though the event would be closing in less than 5 minutes, we were greeted with warm and perfectly moist Apple Fritters freshly pulled from the oven. I watched hungrily as they drizzled cinnamon Icewine caramel sauce over it before handing it over to me. Yummy! Paired with Pillitteri’s Kerner Icewine, it was the perfect ending to our wonderful day! Tip: Plan out your route ahead of time by using Wine Country Ontario’s handy route planner which can be found here. 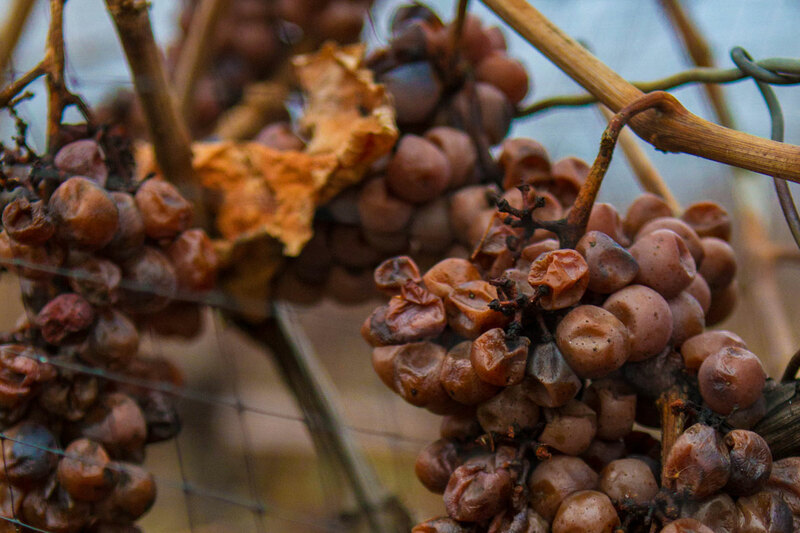 If you’re a fan of icewine and amazing food, or if you’re interested in trying icewine for the first time, then the Niagara Icewine Festival may be your ticket to a foodgasm of your own! If you can’t make it to Niagara in January then don’t miss the Days of Wine and Chocolate in February. Perfect for a couples getaway! I had no idea that there was an ice wine festival! I will definitely be doing this at some point. I visited Niagara-on-the-Lake in October and toured 4 wineries and I loved all of the ice wines. You looked like you had a great time, I can’t wait to check it out! I don’t like wine but I do like ice wine! :) The sweeter the better for me! Chocolate and wine festival sounds amazing! Yum, I adore Icewine! I have only been to the vineyards &B tasting rooms in BC and West Coast Canada, but the East coast wines are delicious, too. Those tasting rooms look fun! Great photos and descriptions, I can imagine the taste of the wine and food! You had me a foodgasm. The foodporn also looks incredible. I’ve never heard of ice wine before and now I’d love to really try it one day when I return to the states. Well now I am officially hungry and thirsty! I had never considered going to the Icewine festival because I’m not the biggest fan but it sounds like they had some amazing eats and even some red ice wine if I see correctly? I like red ice wine actually! Not sure if you guys have been or not but both Twenty Valley and NOTL have events in the spring and fall as well! I would highly recommend them! I don’t drink, but the food sounds wonderful! Pork Belly Tacos and Blue Cheese bread pudding? Oh my gosh! And the wine, of course! I’ve been to Toronto recently and I had the chance to taste the wine. Yummy indeed! Your pictures are great too! Looks yummy. Never heard of this festival. I don’t drink either, but looks like a good time. Aaahh I wanna try this! It sounds yummy haha. Thank you for sharing 🙂 Enjoy your day. It looks like a foodies dream!! I was sold with the Apple Fritters and icewine especially though, ugh! To die for! Good choice opting for the chocolate fountain! Looks Ah-mazing! What a fun article. Didn’t know much about ice wine, but am excited to do my own tour one day! I’m Canadian and I’ve never had icewine! Thanks for the great read and the gorgeous photos. I really have to try icewine sometime! Icewine sounds magical to me…like something they would have in Game of Thrones. This is a great post and your visuals definitely had me. I first tried Ice Wine when I visited Toronto in 2013. I must say that it has an exceptional taste. It’s light and sweet. I’m not much of a drinker so it’s perfect for me. 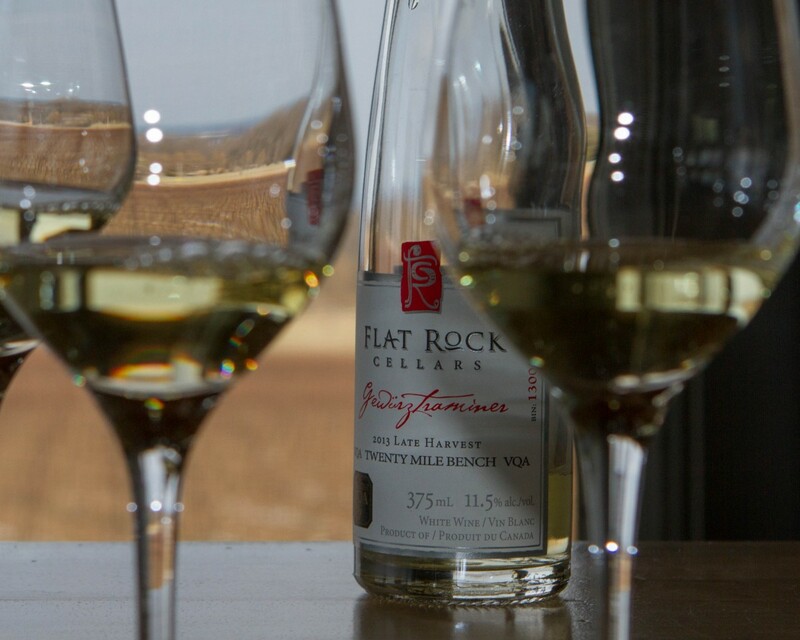 The Okanagan is one of our favourite wine regions! In fact, we were just there last weekend! I loved this area of Canada. I never got to try icewine. Love to go back one day. Thanks for sharing. I’ll have to check out these wineries when I do get back. I usually don’t associate wine with Canada, so this is excellent. I have never heard of ice-wine either, but it sounds like it would be a great beverage for the summer following dinner. Ahh Susan, you’re missing out! Canada has a very nice and growing wine industry. If you love sweet wine, there is nothing better than icewine! Great article, with photos to support the narrative. The information and its layout offers a tempting travel opportunity. Thanks for sharing. I was introduced to ice wine when I lived in Buffalo and would often have excursions into Canada. Such a tasty wine. Niagara-on-the-Lake is such a charming town.